View from the cabin, the water level is quite low. I was inspired by a youtube video of Alaska to try skipping stones on the almost frozen small lake near the cabin. 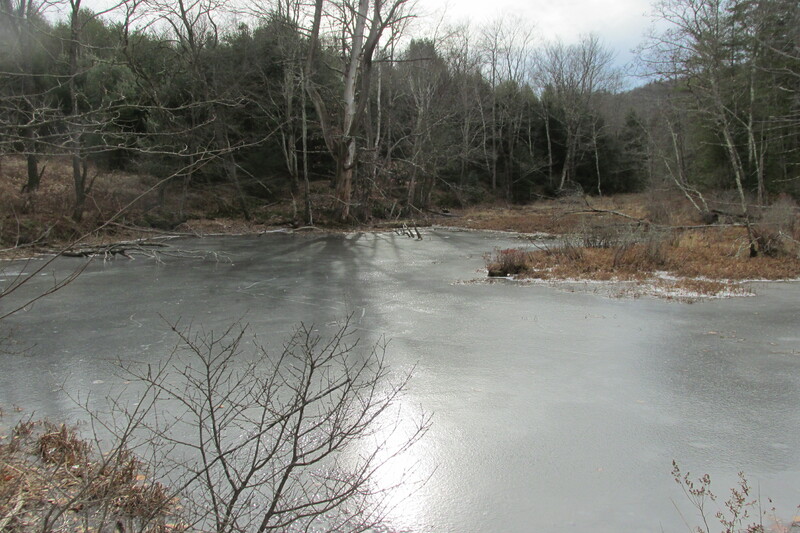 The trick of making the “incredible” sound is to find an almost frozen lake. 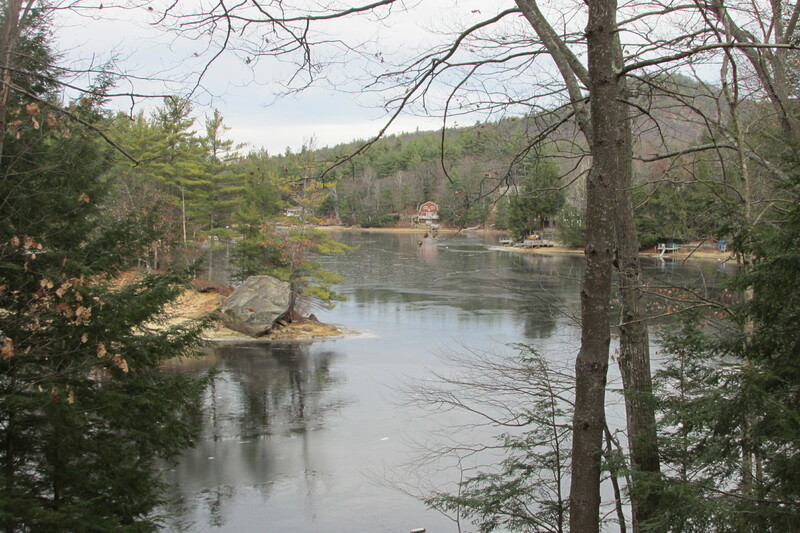 A lake that is frozen will not make the sound, though it is still fun to throw rocks onto. The original Alaska video appears here. Many people complain about winter. My Facebook is full of “don’t you wish you were here in LA?” and such comments. Yes, I do get tired of the snow and when it is very cold,I dream of beaches. But, I also love walking in the cold, as the woods and mountains of New Hampshire and Vermont are very beautiful even in winter. Also there are no biting bugs or bees (which I am allergic to). Instead there is a crisp silence that is wonderful, snow prints of every animal except Bigfoot, and you can always bundle up enough to stay warm. Frozen lake, part of the beauty of winter. 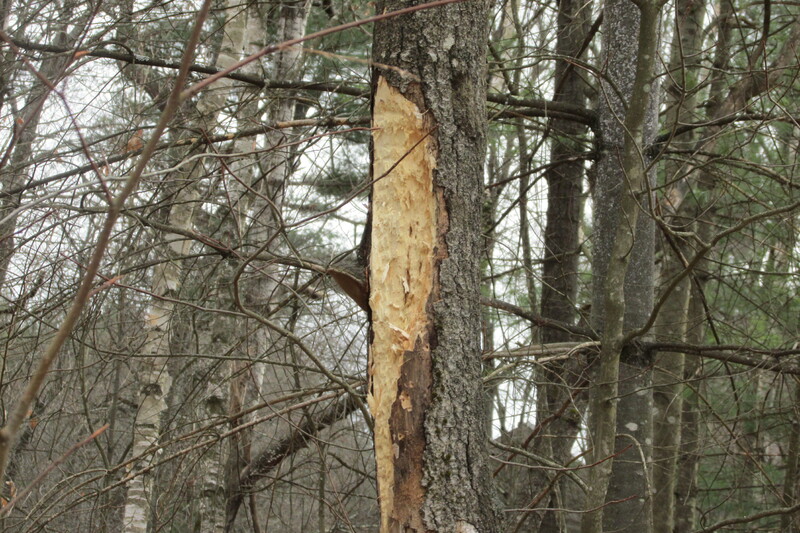 Bears and other animals will look for insects in dead trees. Throwing rocks is still fun, but no silly noise when lake is totally frozen.